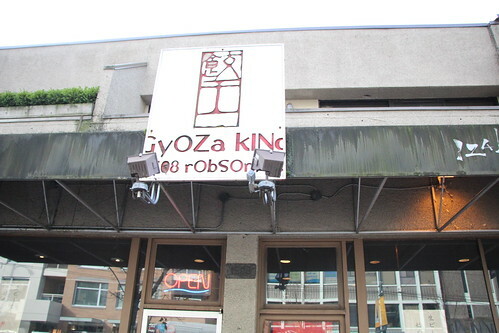 Gyoza King – Vancouver Series | ohdenny. Gyoza King on Robson Street, Vancouver is a fantastic Japanese restaurant that we stumbled upon on our way to Stanley Park. During lunchtime their menu is varied and appetising. 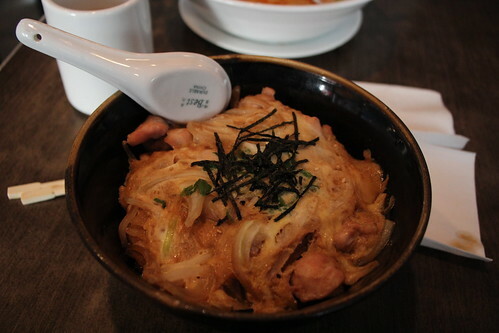 Noodles, rice dishes and of course Gyoza make up its lunch menu. While their dinner menu leans towards the pricer end of things but so very satisfying and delicious. 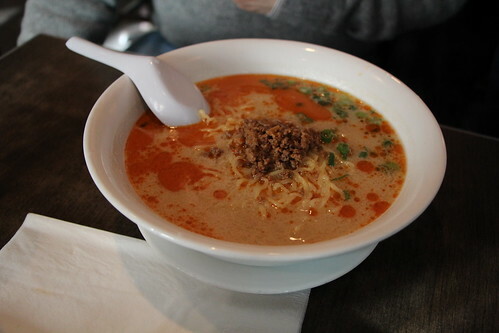 Gyoza King’s Ramen is simply divine for a cold Vancouver day. The soup is flavourful, but it doesn’t leave you feeling thirsty like some other Japanese restaurants. The noodles were cooked well, not too soft and not too hard. All it needed was a bit of Togarashi and it was perfect. The stock they use was just so tasty. Really great Ramen here. 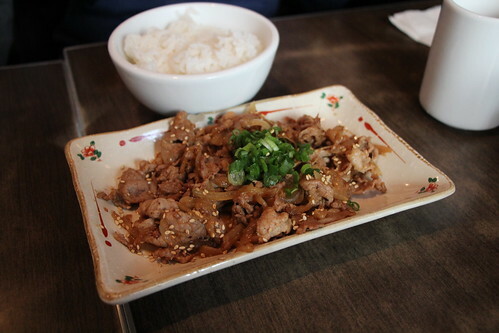 We also ordered the Beef Sukiyaki which was another great dish. Slightly sweet from the onions and the sauce, the beef cooked to perfection. I always hate that chewy, tough beef but here it just melts. The sesame seeds add a bit of crunch and texture and is something I’ve often not found in this dish. What it lacks though is enough sauce, because it was just so good. A bit sweet, salty but simply delicious. Gyoza King’s Oyako Don is another treat. The onions, egg and chicken just complement each other extremely well. The seaweed on top isn’t just there for looks, it adds that slightly bitterness and roast to the rice. The chicken was marinated well. Sometimes you’ll find with Oyako Don, the chicken is very bland, lacking in anything good and most commonly overcooked and dry. Here it is still moist and that is definitely most welcome. Of course I had to add the Togarashi but it really could do without it too. You can’t not go to Gyoza King and not try their Gyoza. While these Japanese dumplings are small, it does pack full of flavour it its filling. The pork and cabbage, with the ginger and chives are in a perfect proportion. Giving it a bit more life is the soya sauce that provides the saltiness. 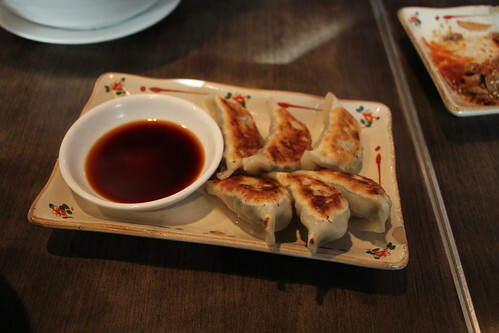 The Gyoza are crisp and not too oily. Absolutely satisfying. 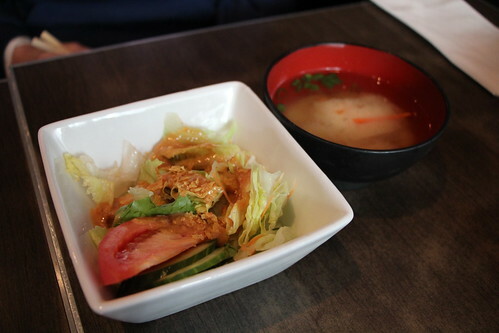 The salad and miso soup comes complementary with some lunch dishes. The dressing they add on the salad is quite interesting. It’s not the usual sesame dressing I’ve had in other restaurants, but it still has a roasted flavour to it. It felt more rich, like mayonnaise. The miso soup is quite standard though, I don’t think you can go wrong with miso soup anyway. Because Gyoza King was so good, we also had to try going there for dinner. We ordered their grilled fish and it was absolutely stunning. My gosh, the fish was so fresh and also extremely moist. It just melts so effortlessly in your mouth. The grilled flavour just seems ever so gently through the flesh. Adding a sprinkling of lemon adds an acidity that complements the subtle saltiness of the charred skin. I really couldn’t have asked for a better grilled fish. 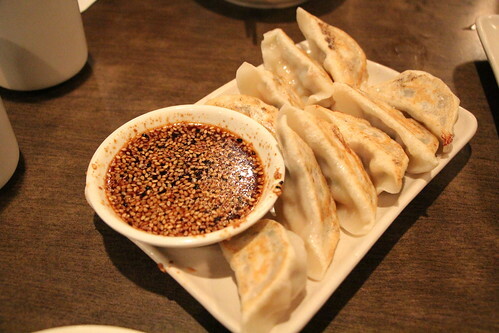 As we were having a lighter dinner, we shared another order of Gyoza. Again, these little bite sized dumplings are juicy and flavourful. Really great, I definitely recommend it. Their crispy chicken is another delight. Crispy, with a very thin skin and moist on the inside. 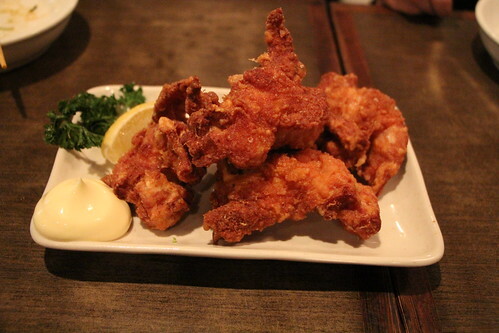 It needs the lemon and mayonnaise to balance the oiliness of fried chicken but nonetheless it’s quite good. You can’t have too much of it though. What we have here is a almost raw fish. 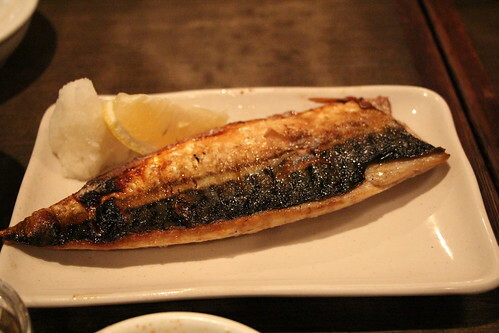 It is just charred ever so slightly with a Japanese sauce. 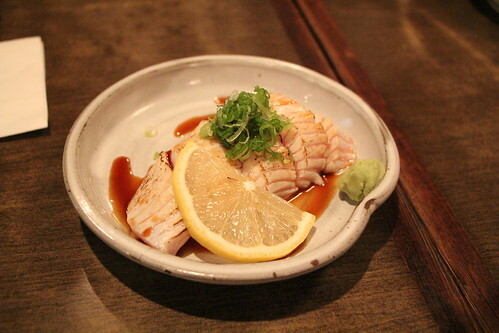 The fish here is so good like this, it really doesn’t need much else other than the lemon and soya sauce. I’ve never quite had something like this before and I’m not quite certain of the name either! Just a big FYI, it is really pleasant. Gyoza King have knocked my socks off with the dishes they have delivered. Both their lunch and dinner selection are varied but have definitely made an impression with the dishes we ordered. I really do recommend giving it a try if you’re around the West End.